Registration for the YLF Luncheon is now closed. For more information, please email CKBLuncheon@calylf.org. The California Foundation for Independent Living Centers and YO! 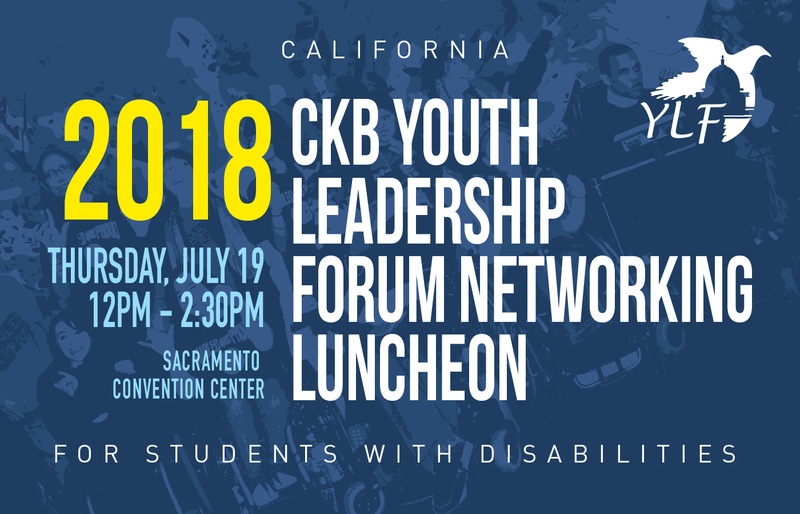 Disabled and Proud is a supporter and partner of the California Youth Leadership Forum for Students with Disabilities.